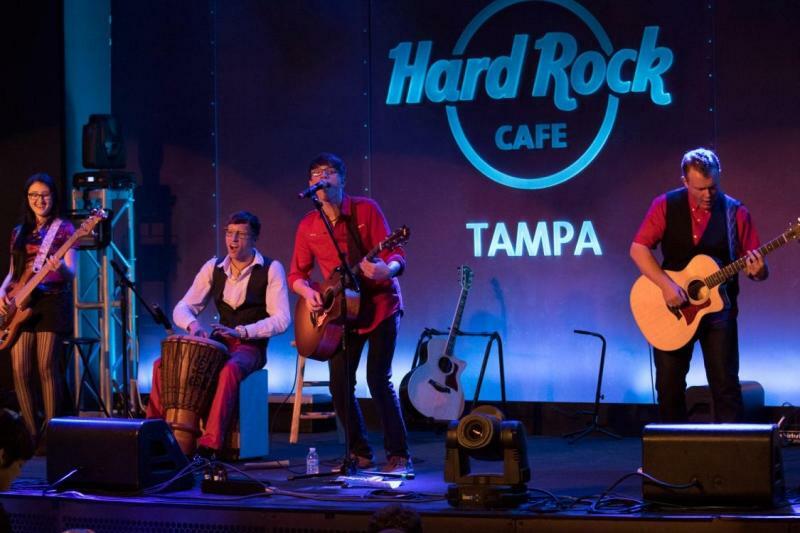 It was a special night last night at the Tampa Bay Acoustic Music Festival at the Hard Rock Cafe. 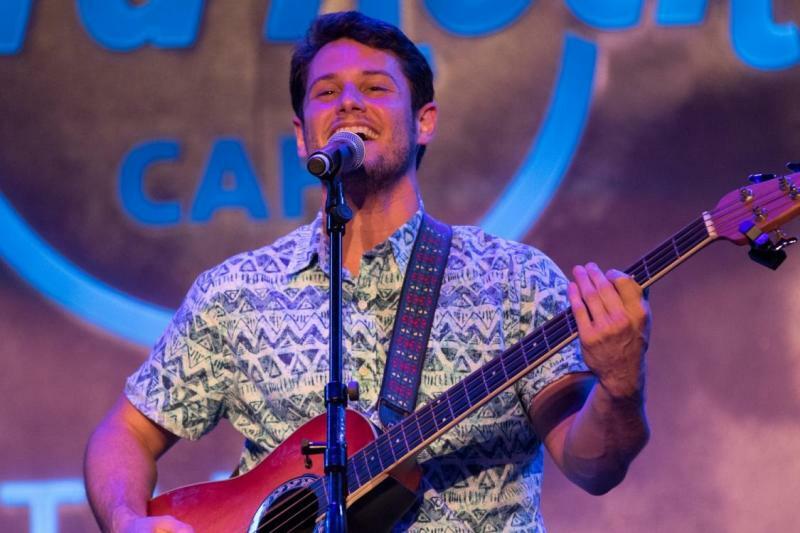 The Seminole Hard Rock Hotel & Casino Tampa held their Charity Slot Tournament in support of the Florida Aquarium and we rocked out to stellar performances from Meir Fox & The Foolish Love, Logan & Yvonne Belle, The Cruz Brothers, Infinity On High and Mighty Mongo. It was quite a Mighty Night at the Hard Rock Cafe! 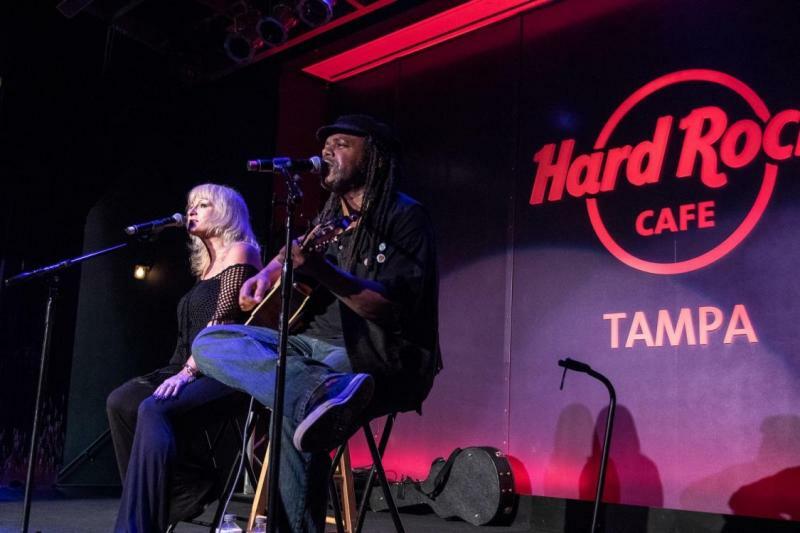 As we have seen all month during the Tampa Bay Acoustic Music Festival, the Seminole Hard Rock Hotel & Casino Tampa is committed to developing the local live music scene. However, they are also committed to another very important cause: raising money to help non-profits in the Tampa Bay area. This month the casino was raising money for The Florida Aquarium and fans had the opportunity to “make a splash” by purchasing limited edition blue Hard Rock sunglasses. The casino donates 100 percent of the proceeds generated from sales of the sunglasses as well as proceeds from 2015 Seminole Hard Rock Girls Calendar sales to The Florida Aquarium. To further support The Florida Aquarium, the casino held their monthly Charity Slot Tournament. 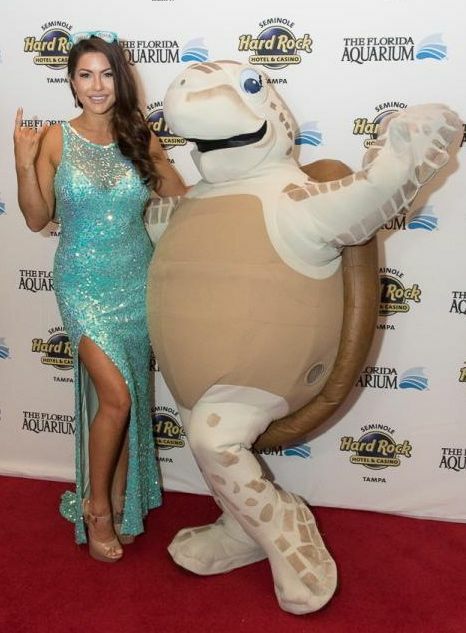 Hard Rock Calendar Girl Miss June and The Florida Aquarium’s mascot Tango the sea turtle looked gorgeous on the red carpet while everyone had fun playing in the tournament. 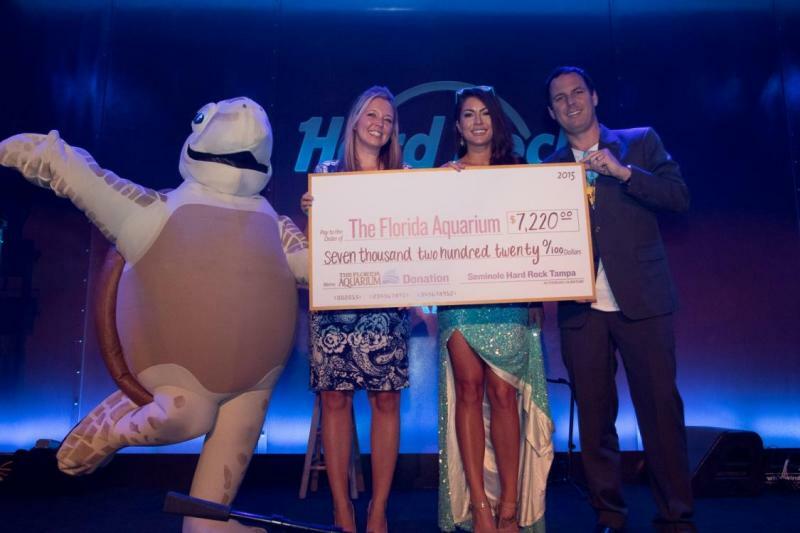 The casino made a “big splash” when they presented a check to The Florida Aquarium for $7,220.00! Fantastic support for this beloved Tampa non-profit. And make people happy he did! Meir Fox has an incredible voice and played a set of all original music including “Did You Know” a song inspired by a homeless man, encouraging him to think positively about the world despite his situation, “Music of my Mind” about the realization that you don’t need “things” in life to be happy and “Gotta Get Up” a song to help people feel inspired and self empowered in a world where everything isn’t perfect. 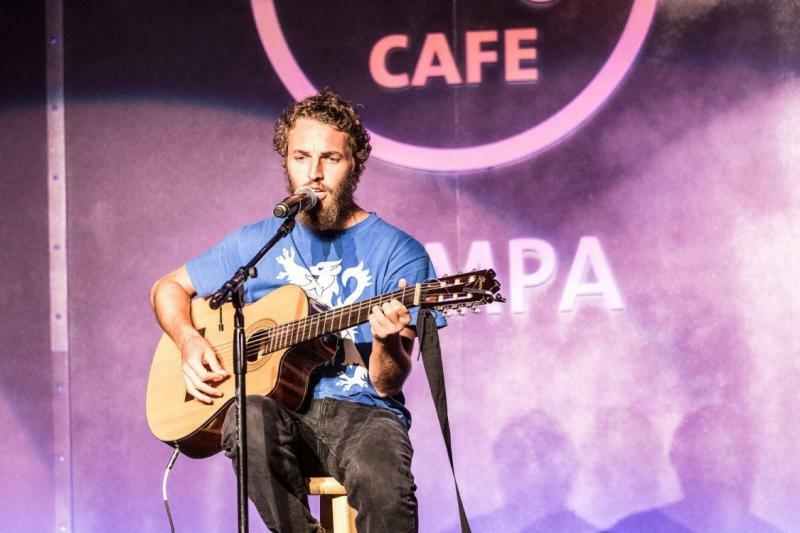 Meir Fox is just getting started in the Tampa Bay area and is in the process of recording his songs, networking with bands and playing more shows. See him at the Vegan Festival in Tampa on November 7th or find him here. Logan and Yvonne Belle took the stage next for a set filled with Diamonds and Dirt. Logan says he was “always musical” and started playing guitar at 13. 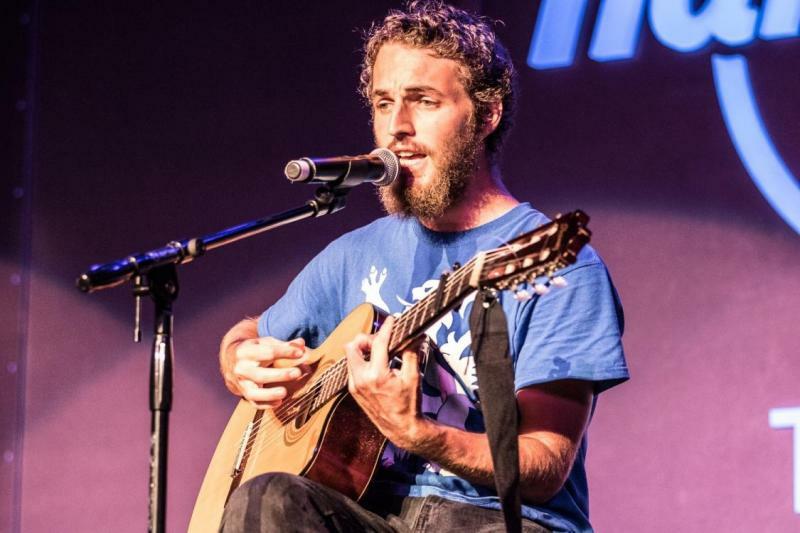 He was inspired by his aunt who told him, “You will never regret it” and she was right! Logan has worked and toured with several national acts including A Flock of Seagulls and Wang Chung in addition to opening for such artists as War, Mickey Thomas’ Starship and Edwin McCain. Pretty impressive! His wife Yvonne is equally musical. She started singing in the school chorus and always wanted to be a singer but started singing in bands as a “fluke” in her late 20’s. A little help from Mr. Jack Daniels helped her get over her nerves and she’s been singing in bands ever since. Cupid’s arrow hit at just the right time in their lives and the married duo has been performing together since 2000. 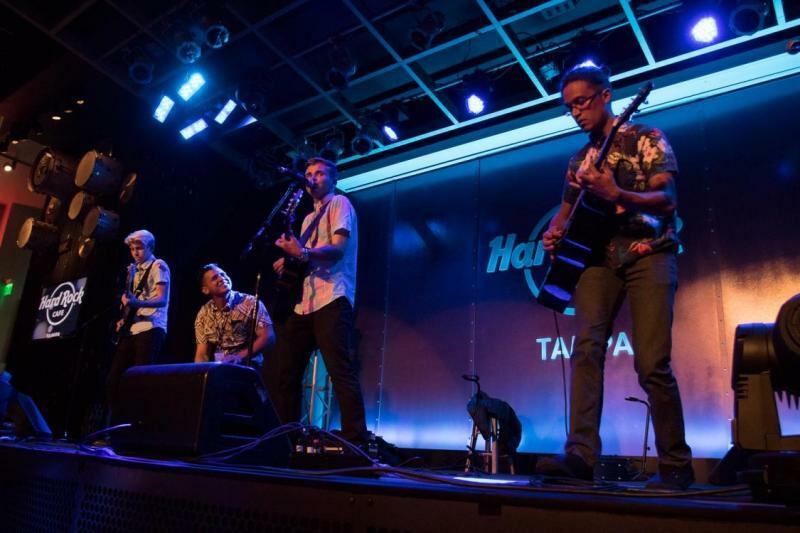 Their insightful lyrics, infectious melodies and powerful stage presence were a hit with the crowd during their set of original and cover songs. Originals included “65 Days” about a friend’s dysfunctional on/off relationship, tallying up the number of days he’s been gone, this time, “Bad Way” about drowing in desperation, hoping someone will come and pull you out of it, even when it looks like there’s no way out and “Broken Yellow Line” a road song, time has no meaning when you’re traveling for days on end and all you see is that broken yellow line in the road. Covers included “Gold” by John Stewart and Stevie Nicks, “Watching the Detective” by Elvis Costello and “Digging in the Dirt” by Peter Gabriel. This sweet, talented couple plans to release two CD’s, Dirt at the end of July and Diamonds in January 2016. Track these two diamonds here. The Cruz Brothers stormed the stage next for a high energy, action packed good time. I have to say I was shocked when I sat down to intrerview them. Lead guitarist Phil Cruz is only 15 years old, I wanted to card him! His drummer brother PJ is only 17, bassist Taylor is also 17 and the elder of the group, guitarist Cory is 19! The band walks, talks and plays like they’re in their 30’s instead of their teens and have already been playing together for 2 years. 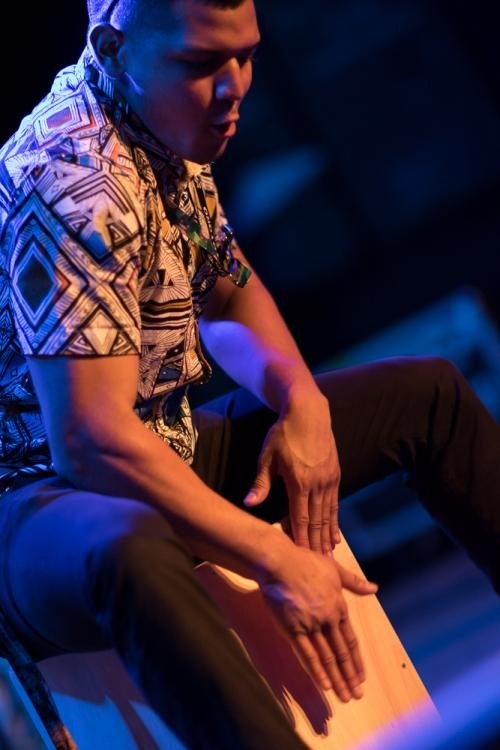 PJ began playing drums when he was 7 and then swtiched to guitar because of his love of the game Guitar Hero. Brother Phil started on the guitar when he was 9 and then switched to the drums. 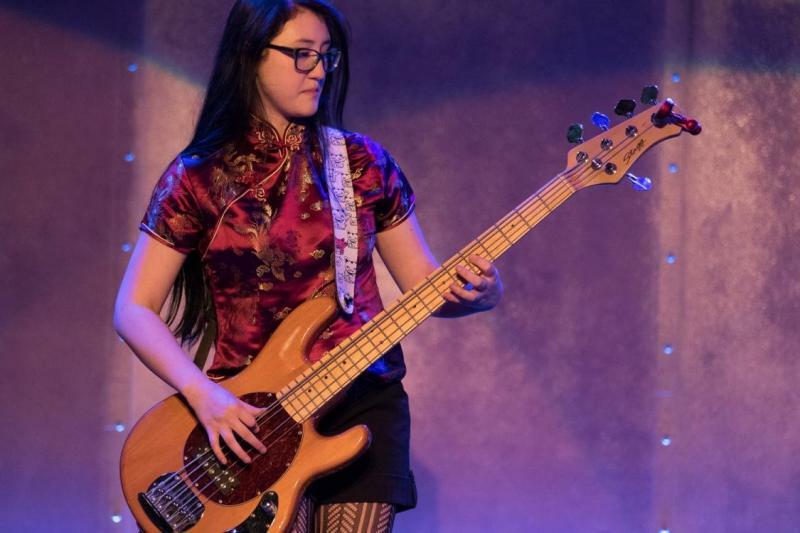 They met Taylor Benson who played piano when she was 11, violin in middle school, keyboards along the way and taught herself to play bass 3 years ago. Guitarist Cory Jones was in a heavy metal band when he was 15 but switched genres and joined the Cruz Brothers when the opportunity arose 2 years ago. What this band lacks in age, they surely make up for with talent! 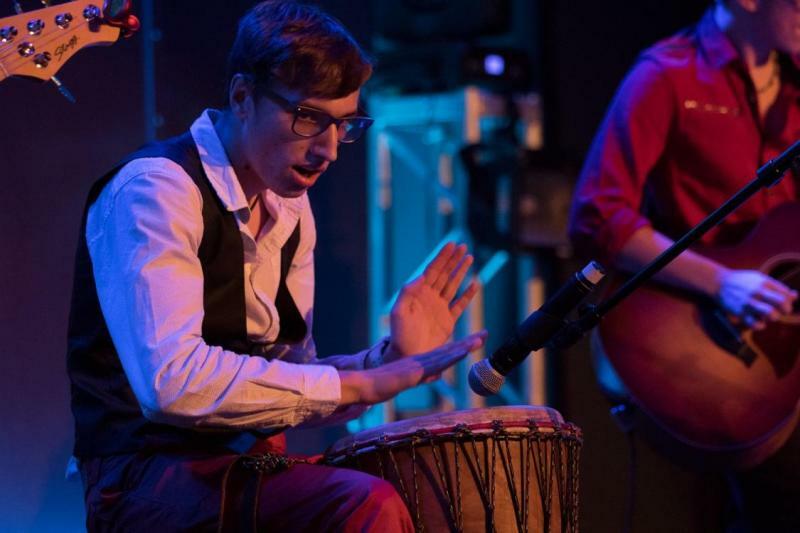 “What I Am” is a very powerful song but is also very personal to the band because their friend and social media manager deals with bullying and discrimination “ten times over” as he lives with Cerebral Palsy. The band has set up a Go Fund Me Account to help raise money to finish mixing and distributing this very compelling song. They are hoping to raise $600 and they have already raised $157. 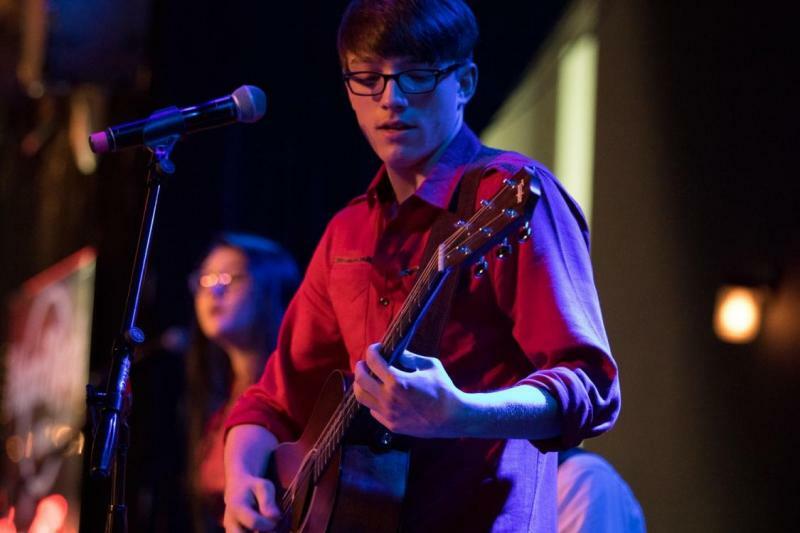 If you can help this very talented group of young musicians raise money to release this song, please consider donating here. Catch the Cruz Brothers at A Seamless Getaway in Tampa on July 10th or keep in touch with this powerhouse here. InfinityOnHigh! took the stage next for a rockin’ set from another young quartet. IOH! is composed of former high school friends Zakk on vocals, Keith on cajon, David on guitar and Spencer on bass. Friends and neighbors since the 6th grade, they have been performing together for the past 5 years. Brothers Zakk and Spencer started playing in middle school and Zakk competed The X Factor! The band started writing songs, playing shows and “taking their music seriously” in high school. IOH! played a mixture of original and cover songs including “Extraordinary” about their strong desire to make something out of their music, “Dance with You” about a guy who had a bad week and just wants to have some fun on the dance floor and “Cocky” about arrogant guys in bars. Covers included “Smells Like Teen Spirit” by Nirvana, “All of Me” by John Legend and “Shut Up and Dance” by Walk The Moon. IOH! 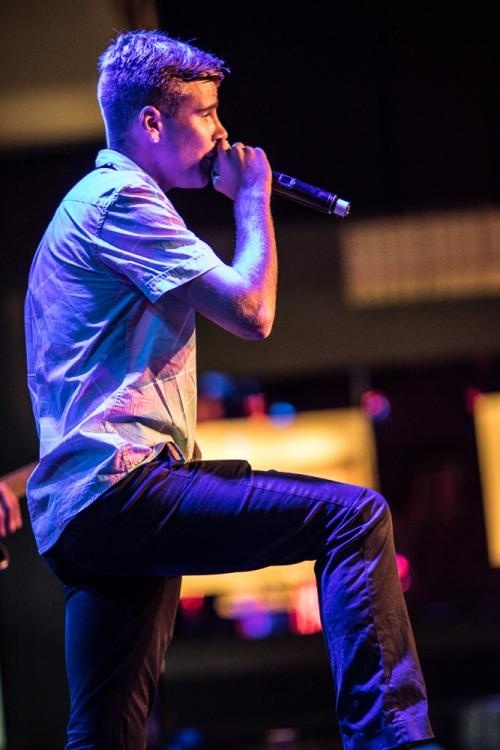 is releasing a 5 song EP MMXV! on June 30th. Catch them at the Ybor Daily Market on July 4th, at the Market on 7th in Ybor City on July 18th or experience IOH! here. MIghty Mongo closed out the night with an energetic, Mighty fun set! 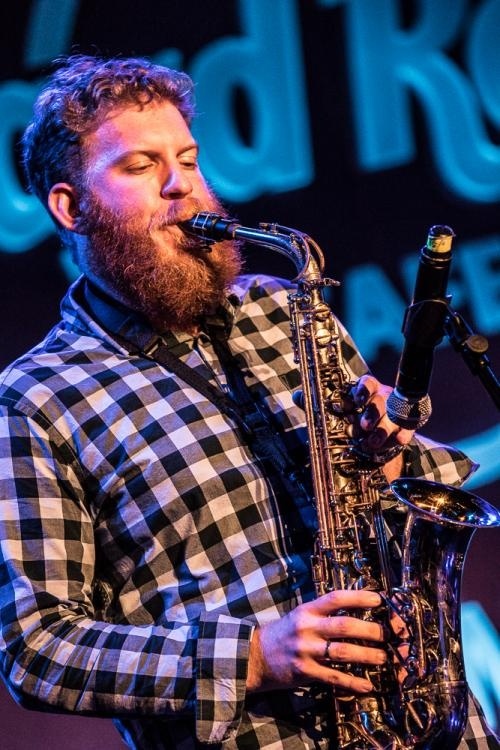 Composed of Alex on bass/vocals, Jon on sax, Lance on drums, Andrew on guitar and Lindsay on vocals, this version of Mighty Mongo has been sharing their positive, uplifting fun party tunes for the past six months. As they say, “We love touring and performing more than we love living”. They played a set of original and cover tunes including “Float Away” about how it would feel if you could float away in a bubble of happiness into outer space, “War” about reconciling relationships over a beer and “Genghis Khan” about focusing on the positive instead of the negative things in life. Covers included “What’s Going On” by 4 Non Blondes, “Sweet Child O’ Mine” by Guns N’ Roses and “Stray Cat Strut” by the Stray Cats. Mighty Mongo has an EP, 2 full-length albums and a new single “Comeback”. They plan to release a full length album this summer. Catch the Mighty Mongo fever here. 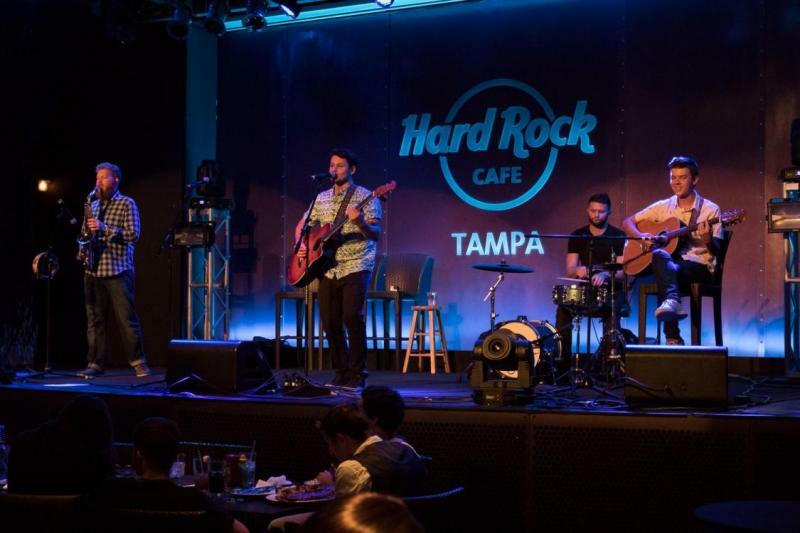 Catch the final nights of the Tampa Bay Acoustic Music Festival at the Hard Rock Cafe this Saturday and Sunday from 5pm through Midnight. 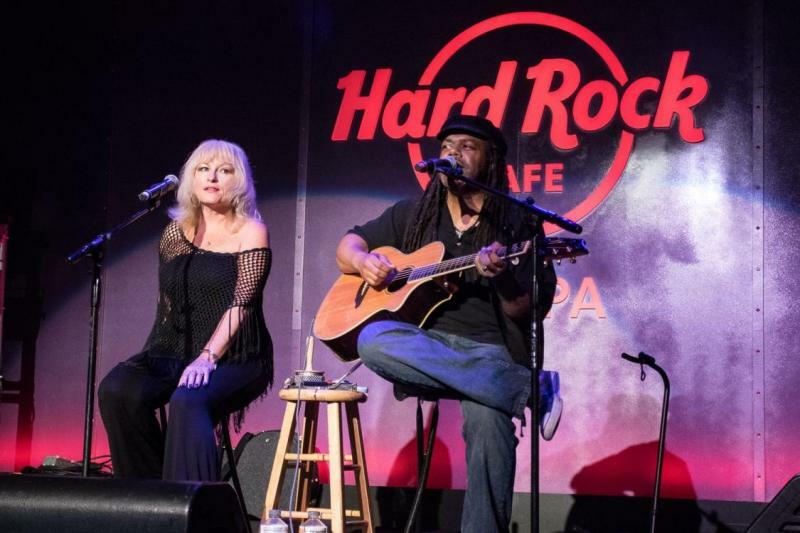 Check the schedule here for the lineup and head to the Seminole Hard Rock Hotel & Casino Tampa for a night of jammin’ acoustic fun!